Extra Entries…starting with the letter B.
Jimmy Dworski: It’s the Cubs in the World Series – it’s a dream of mine, sir. Warden Toolman: If I sink this put, you can go. What do you think of that? Hmmm? Jimmy Dworski: I think you should keep your head down, arms straight, drop your shoulder, concentrate, focus, think of the hole, GET the ball in the hole! Warden Toolman: Smell the hot dogs now, Jimmy. The crack of the bat; the roar of the crowd; you can order your tickets now, Jim. Jim has made no secret of his love for the Cubs. When the Cubs win the division, he comes to the Daley Center and MCs the rallies. Even though the Cubs were playing his new hometown team in 2008 (the Dodgers), he never wavered over which team to root for. (The LA Times had a great article about a bet he made with columnist and former Chicagoan–now a turncoat Dodgers fan–TJ Simers) In his brother John’s lifetime the Cubs never appeared in the playoffs a single time. Jim lived to see the 1984, 1989, 1998, 2003, 2007, 2008 and 2015 playoff teams, but it wasn’t until 2016 that he finally got to live the dream of his character Jimmy Dworski. He was a Congressman, the Governor of Illinois, and a convicted felon–but through it all, he remained a Cubs fan. When Cubs ace Carlos Zambrano pitched a no-hitter Sept. 14, 2008, Blagojevich proclaimed Sept. 16 “Carlos Zambrano Day.” Before the 2008 playoff series against the Dodgers, Blagojevich helped lead a big rally in support of the Cubs. He got a little long-winded that day, and the fans eventually drowned him out with a chorus of “Go Cubs Go,” but still. He was pontificating about his love of the Cubs. He handled similar honors in 2007, getting a prime slot talking to the crowd at the lunchtime playoff push rally at Daley Plaza. Here’s what he said: “As the governor, I stopped asking myself first the question ‘Is it the right thing or the wrong thing?’ Now the first question I ask myself when I govern Illinois is, ‘What would Lou do?” I’ve got to tell you, speaking for me as a lifelong Cubs fan, this is a heck of a lot better than winning elections.” When Kerry Wood had his charity bowling benefit, Governor Blagojevich was there. In July 2005, he joined Cubs legend Ron Santo on a crusade to raise money for diabetes research, and signed legislation that cleared the way for even more money to be raised for Diabetes research. He idolized players like Santo. 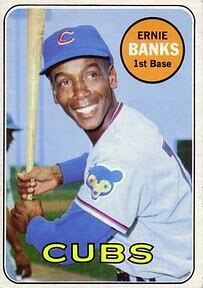 When he was boy, he said his dream was to play center field for the Cubs. In 2003, when Steve Bartman was excoriated by many fans, Governor Blagojevich was one of them, blaming him publicly for the loss. Granted, Rod has made Illinois the laughing stock of the nation, but he truly loves the Cubs. It’s ironic that one of the charges against him involved extorting the Tribune to fire editorial staff in exchange for the state securing the sale of Wrigley Field. 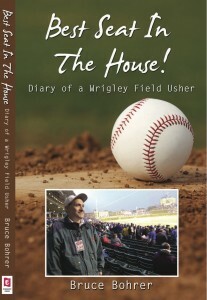 Bruce Bohrer was born and raised on the North Side of Chicago where he became an avid Cubs fan. He attended his first game at Wrigley Field at a very young age. Having spent most of his life in the Chicago area, he has witnessed hundreds of games at Wrigley, first as a fan, and then as an usher, and during that time he saw it all. Brushes with greatness, marriage proposals, creative signs and cheers, unique crowd control issues, and the sheer awe and excitement of Wrigley patrons are captured beautifully in the pages of this book. Maybe you’ll even recognize yourself, because after all, the real stars of “Best Seat in the House: Diary of a Wrigley Field Usher” are not the players on the field. They are the people who come to the shrine called Wrigley; everyday fans who bleed blue for their beloved Cubs. It’s available right here at Just One Bad Century. 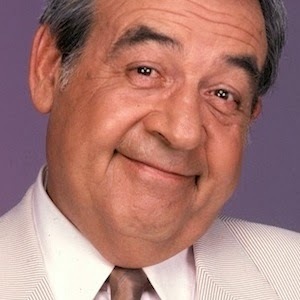 While growing up in Chicago, Tom Bosley dreamed of becoming the star left-fielder for the Cubs. He was 11 when the Cubs faced the Yankees during the 1938 World Series. That series featured Dizzy Dean’s last stand, Lou Gehrig’s last game, and Joe DiMaggio’s dagger home run into the Wrigley Field stands. Bosely was in the Navy when the Cubs faced the Tigers during the 1945 World Series. By then he knew his baseball dream would never come true (He told TV Guide in 1976 that his dream was ended simply by being “too short, too heavy, and not very good at sports”). As it turned out, the closest Bosley got to organized athletics was a sportscasting class at DePaul University after the war. After additional training at the Radio Institute of Chicago and two years’ practical experience in various dramatic radio programs and stock companies, he left for New York in 1950. But he never lost his love of the Cubs. Even during the glory years of Happy Days when he lived in Los Angeles and had season tickets to the Dodgers, he always rooted for the Cubs. “Tommy Lasorda still gives me grief and yells at me for being a Cubs fan,” he told People Magazine in 1979. He also put his name where his mouth was by becoming a member of the board of directors for the Die Hard Cubs Fan Club. Lin didn’t grow up in Chicago, but the WXRT morning man has become a huge Cubs fan since he arrived in our fair city a few decades ago. Every year he does a live broadcast from Wrigley Field on Opening Day, and he refers to the Cubs on the radio quite often. In this conversation with Cubs broadcaster Len Kasper (a frequent contributor to the show), Lin and Len talk about the legacy of Ernie Banks, and how much they loved him. His name isn’t remembered by many people today, but Joe E. Brown was an actor, comedian, and baseball nut. He was also one of the biggest movie stars in America during the 1930s. He made his mark in a series of baseball movies, and in his two biggest box office hits (“Elmer, the Great” and “Alibi Ike”) he portrayed fictional players on the Chicago Cubs. Both of those films were written by the great baseball writer Ring Lardner, and filmed in LA’s Wrigley Field. Brown called the character of Elmer his all-time favorite: a lovable, walking, talking, egocentric braggart. Elmer also does something in the movie that we can only dream of witnessing…he hits a grand slam to win the World Series for the Cubs. Several real-life Cubs were in that movie too: Babe Herman, Larry French, Tuck Stainback, and the man who allegedly served up the pitch for Babe Ruth’s called shot: Charlie Root. 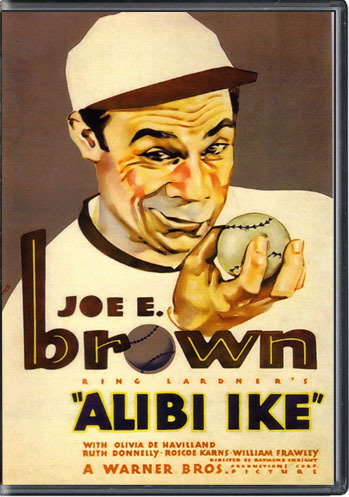 In his next baseball movie, “Alibi Ike,” Brown played another Chicago Cubs player, pitcher Francis X. Farrell. They called him Alibi Ike because he had an excuse for everything. One of his famous lines: “I coulda won more than 30 games last year, but I had malaria half the season.” Brown’s Ike is a clowning excuse maker that forgets what made him who he is as he pursues his rookie season with the Chicago Cubs. But, like all of Brown’s characters, Ike has a heart of gold, and eventually gets back together again with his estranged girlfriend (Olivia de Havilland). Ike realizes that she is more important to him than wearing a Cubs uniform, and it’s not until he realizes it that he fulfills his baseball potential. Burroughs was best known as an author (he wrote all the Tarzan books), but he was a native Chicagoan, and loved the Cubs. In 1911, when he was still a writer for the Chicago Daily Tribune, he wrote a poem about how long it had been since the Cubs had won it all (it had only been three years at that point), and how much he looked forward to their winning it all again. Luckily for him, he only lived until 1950. This is a very rare film of Mordecai Brown in action.